This scenic route links fairy-tale castles, artistic treasures, picture-perfect vistas, and vineyards galore. Sure, it’s possible to zip between Siena and Florence, two of central Italy’s most beloved towns, in about an hour. But why rush the trip? 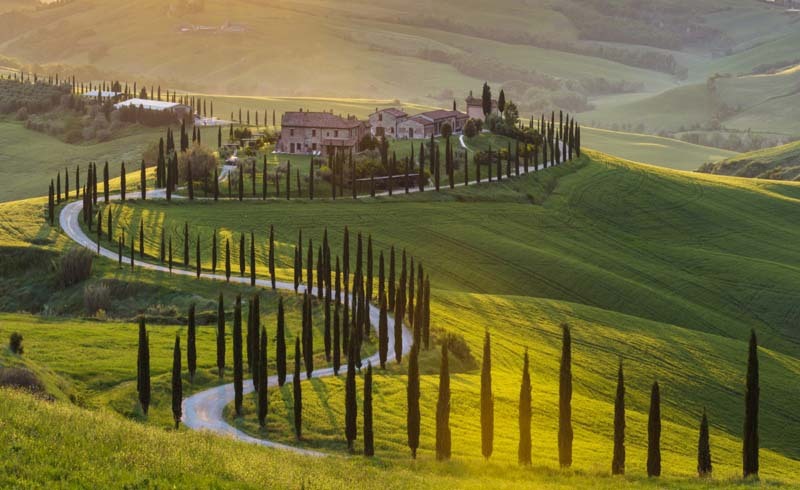 The Tuscan countryside is like the wine produced there—meant to be savored rather than gulped. There are countless places to explore, each with something gorgeous or delicious to discover. This roundabout route is just a sampling of what’s available. It links up fairy-tale castles, artistic treasures, picture-perfect vistas, outdoor adventures, and vineyards galore. What’s not on the itinerary: mobs of tourists. Be prepared for curvy roads and some unexpected twists. This scenic route links up fairy-tale castles, artistic treasures, picture-perfect vistas, and vineyards galore. 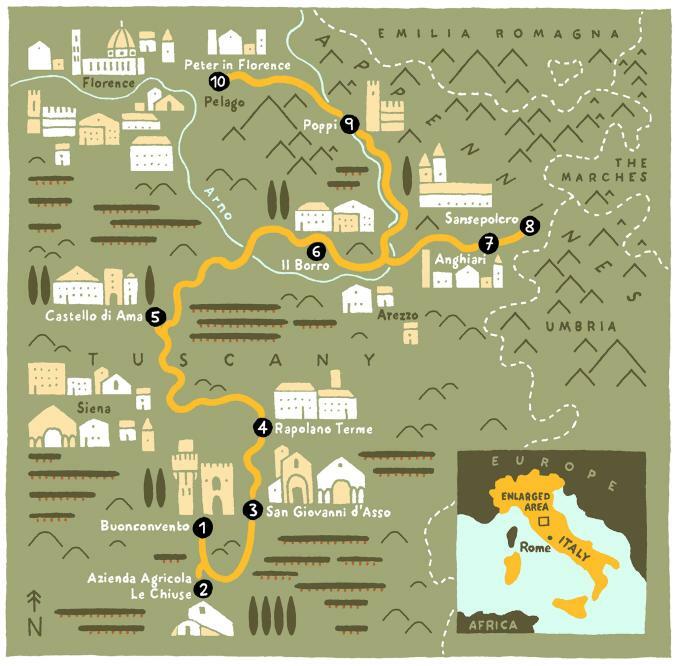 From Siena, drive about 18 miles south to Buonconvento, a pristinely preserved medieval village that lives up to its name, derived from the Latin for “happy gathering place.” Hikers on the Via Francigena, a pilgrimage route now popular with today’s trekkers, routinely gather here. President Obama was spotted last summer checking out the 14th-century Chiesa dei Santi Pietro e Paolo. (He stayed for nearly a week at the village turned luxe lodging Borgo Finocchieto.) 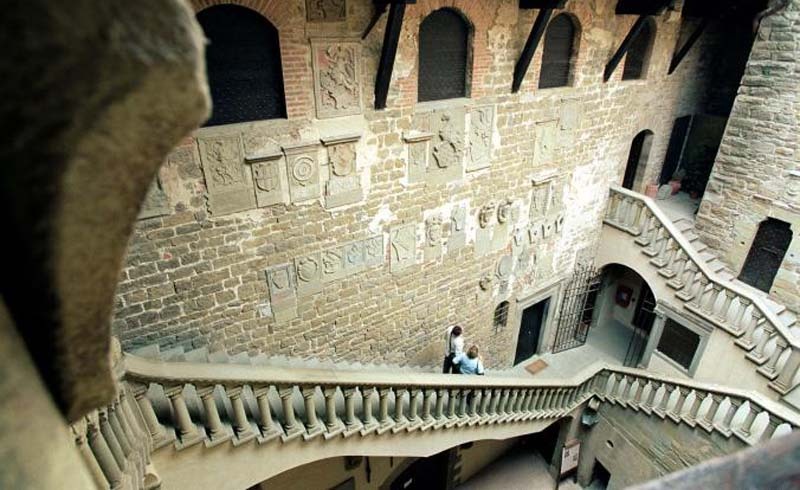 For folk history, visit Museo della Mezzadria Senese, which is housed in a centuries-old barn and tells the story of the area’s sharecroppers. The Borgo Finocchieto is a village turned luxe lodging in Buonconvento. Just 15 minutes away, in a landscape dominated by grapevines and olive groves, find a Montalcino farmhouse built in 1840. The rustic spot is Azienda Agricola le Chiuse, a winery and agriturismo that offers four apartments. Guests can splash in the pool and enjoy tastings led by owner Lorenzo Magnelli, whose great-great-grandfather created Brunello, the local wine celebrated internationally for its notes of licorice, tobacco, cherry, and chocolate. In the Crete Senesi hills, San Giovanni d’Asso has a thing for white truffles. The town’s castle houses the Museo del Tartufo, complete with a giant walk-in replica of a fungus. Up the street is Osteria delle Crete, which sells its own truffle-infused grappa. The restaurant arranges truffle hunts, accompanied by a specially trained dog. All truffled out? Wander around Bosco della Ragnaia, an artist-designed park with tranquil paths and quirky sculptures. Thermal hot springs bubble up all over Tuscany, and several famously steamy spots, such as Saturnia and Bagno Vignoni, are worth a detour. But the town of Rapolano Terme, where ancient Romans once relaxed, is conveniently on route. Follow the whiff of sulfur to Terme San Giovanni, a reasonably priced, family-friendly spa that’s open year-round for soaks in a series of pools with varying temperatures and enriched by calcium bicarbonate. (You’ll feel the sediment squish between your toes.) A signature treatment? Naturally, the “mud ritual.” Bring a bathing suit, towel, and flip-flops—plus a bathrobe to blend in with the locals. On weekends the spa stays open for dips after dark, which can be combined with Campari cocktails in the adjoining lounge. In a quiet corner of the Chianti Classico region sits Castello di Ama, which attracts attention for more than just quality reds. For almost 20 years, the winery’s owners have invited artists, Anish Kapoor and Louise Bourgeois among them, to create installations for the cellar and grounds, now an open-air museum. Some pieces stand out immediately, such as the telescope set up to spy on the countryside, but finding them all requires signing up for a guided tour and tasting. The kitchen at Il Ristoro di Ama uses veggies grown on the property; tuck into pappa al pomodoro (tomato-bread soup) and other Tuscan specialties before retiring to one of five lavish villa suites. One criticism of some Italian towns is that they’ve been taken over by tourists. 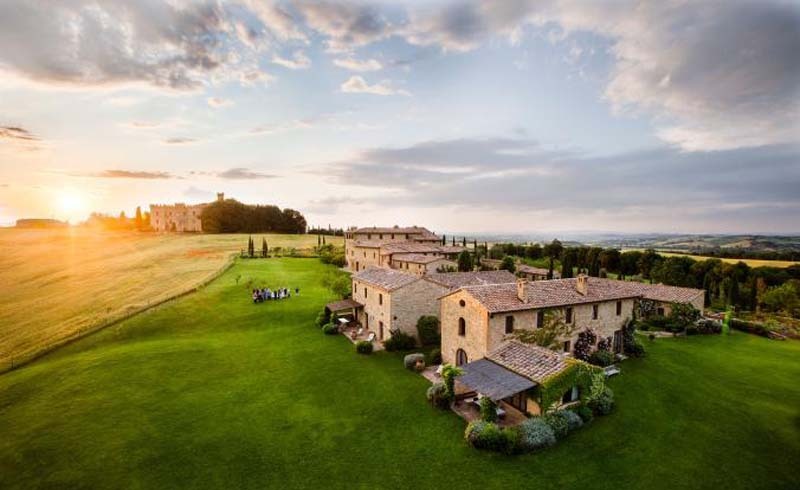 But that’s the appeal of Il Borro, a 700-hectare estate owned by the Ferragamo family, which includes a painstakingly restored medieval village. The stone streets now all lead to five-star accommodations—with amenities like fireplaces and private gardens—and a handful of artisan stores, many of which teach craft workshops. Parents can send the kids to painting class while they design and create all kinds of jewelry. Other on-site activities include a tour showcasing Il Borro’s wines (five of which are organic), golf, and horseback riding. For a more affordable rate, book a farmhouse apartment outside the village. A breathtaking hilltop hamlet in the Valtiberina Valley, Anghiari was the site of a big-deal 1440 battle. Florence won, Milan lost, and Leonardo da Vinci started to make a painting about it. He never finished, but sketches survive—and are featured in a cool touch screen exhibit at the Museo della Battaglia e di Anghiari. Start a visit at the bottom of town with Busatti, a luxury textile manufacturer established here in 1842. (Free factory tours show off century-old looms still in use.) Then walk up winding streets for ever shifting views. Neighboring Sansepolcro delivers a crash course on native son Piero della Francesca, the noted Renaissance painter. 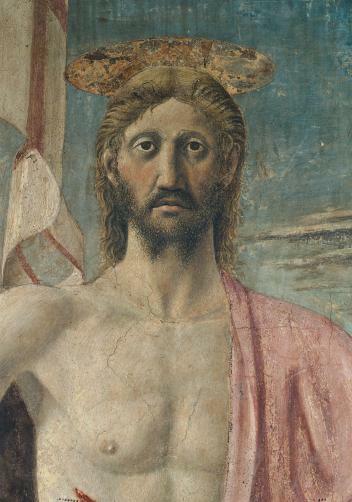 The Museo Civico’s star attraction is the “Resurrection” fresco, featuring a strikingly buff Jesus standing above sleeping soldiers (one of them a self-portrait). A combo ticket also gives access to the artist’s recently opened house museum, near a public garden dedicated to (who else?) della Francesca. The 13th-century Poppi Castle is the stuff of fantasies, starting with the deep moat that surrounds it. At the bottom is a prison, which originally had no windows. (Inmates were dropped through a trap door.) At the top is a working bell tower, with 360-degree views of the lush Casentino Valley. Find more Instagram-worthy subjects inside the charming walled town lined with sidewalk porticoes. The 13th-century Poppi Castle offers 360-degree views of the gorgeous Casentino Valley. 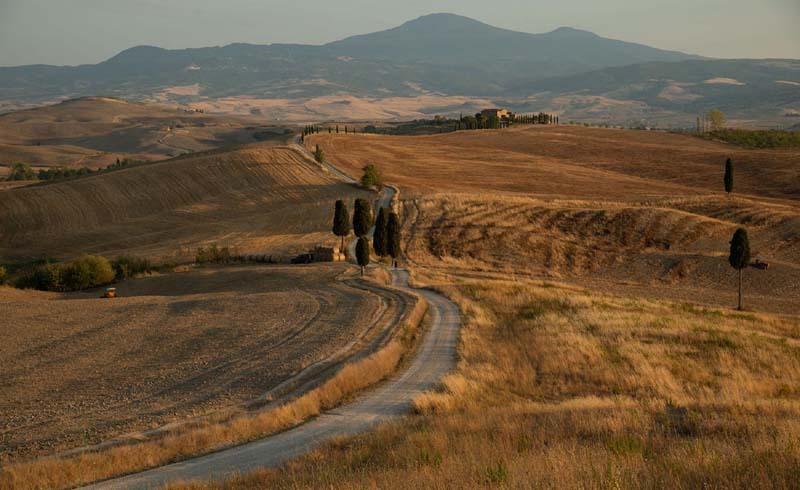 At day's end, sunlight gilds Tuscany's Val d'Orcia, a landscape that's been depicted in Renaissance art and modern cinema.